In 1910, the residents of the Old Mission Peninsula created the "blessing of the blossoms" ceremony to pray for a good cherry crop. Over the years more orchards were planted and the ceremony grew as cherries became more important to the region’s economy. In 1925, the cherry growers partnered with Traverse City merchants to create the "Blessing of the Blossoms Festival" to promote the region and the cherry business. Three years later, this festival was renamed the Michigan Cherry Festival and shortly evolved into the National Cherry Festival. As agriculture on Old Mission Peninsula evolved, most notably with the planting of European vinifera grapes, the blossoms became a signifier for more than just the cherry crop. Old Mission Peninsula winemakers have looked to the cherry blossoms and subsequent harvest as a barometer for the coming wine vintage since the first grapes were planted. 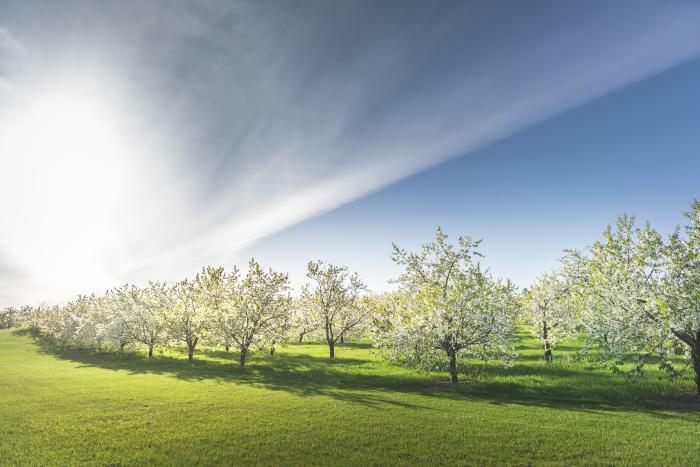 Continuing in the tradition of the Blessing of the Blossoms, the Old Mission Peninsula Wineries celebrate this relationship between cherries and grapes with their annual Blossom Day event! 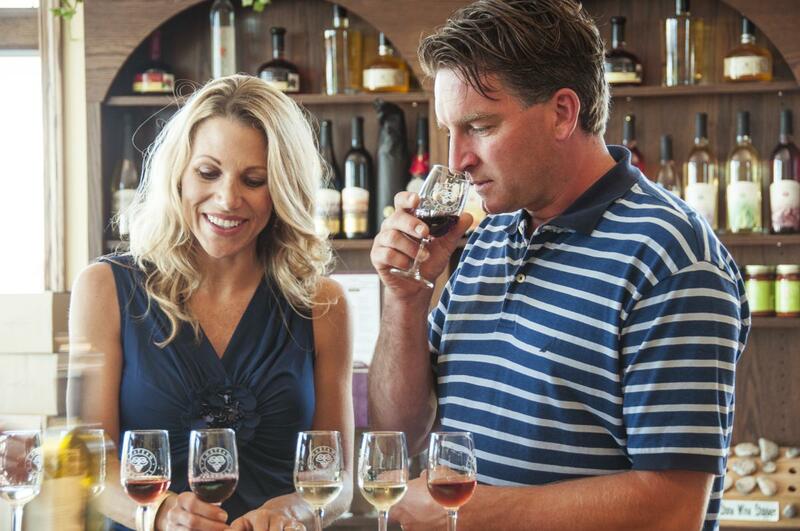 Taking place on Saturday, May 18, 2019, this annual event allows guests to enjoy newly released wines from each of the ten Old Mission Peninsula wineries. Local Traverse City restaurants partner with each winery, showcasing seasonal spring foods that are perfectly paired with the region&apos;s wine. Event participants are able to join tours of the cellars and are often treated to chats with the winemakers themselves. All of this takes place among miles of beautifully blooming cherry blossoms, set against the backdrop of both East & West Grand Traverse Bays. Guests interested in the history of this great event are encouraged to visit Chateau Chantal on Sunday, May 19 for the Blessing of the Blossoms; a non-denominational service followed by complimentary cherry pie, refreshments, and music. Children are encouraged to participate with provided blossom branches to bless the year&apos;s agricultural bounty on Old Mission Peninsula!